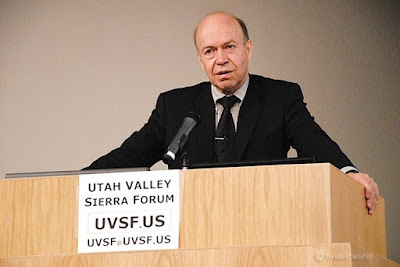 BYU Associate Prof. Richard Gill, a noted climatologist and biologist, laid out the case underpinning the current scientific understanding of global warming at last night's Utah Valley Sierra Forum at the Provo Library. Dr. Gill said that according to the science, global warming is not a hoax, a fabrication or merely part of a natural cycle. Global warming is real and highly likely caused by greenhouse gases resulting from our burning of fossil fuels. The record crowd of 80+ people was definitely not the environmental "choir." Most of the audience believed that global warming was mainly or totally part of a natural cycle of global heating and cooling. 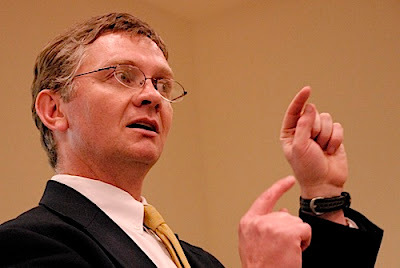 A show of hands after the forum event suggested that deeply held beliefs were not changed by Dr. Gill's presentation of the science of climate study. 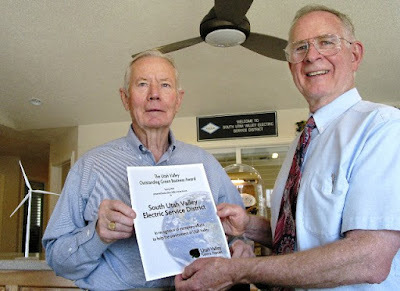 None the less, the doubters heard a straight forward presentation of the current scientific understanding by a distinguished BYU professor who has studied this issue for the past 15 years. 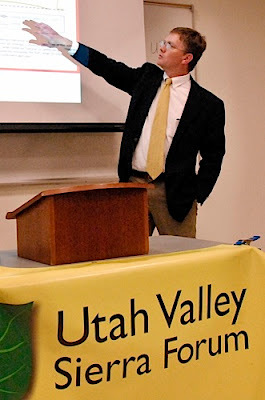 None of Professor Gill's assertions were refuted by doubting audience members. Perhaps it should come as no surprise that deeply held beliefs are not easily changed even in the face of clear scientific peer-reviewed evidence to the contrary.